Understitching is a great way to keep a facing or lining in place. 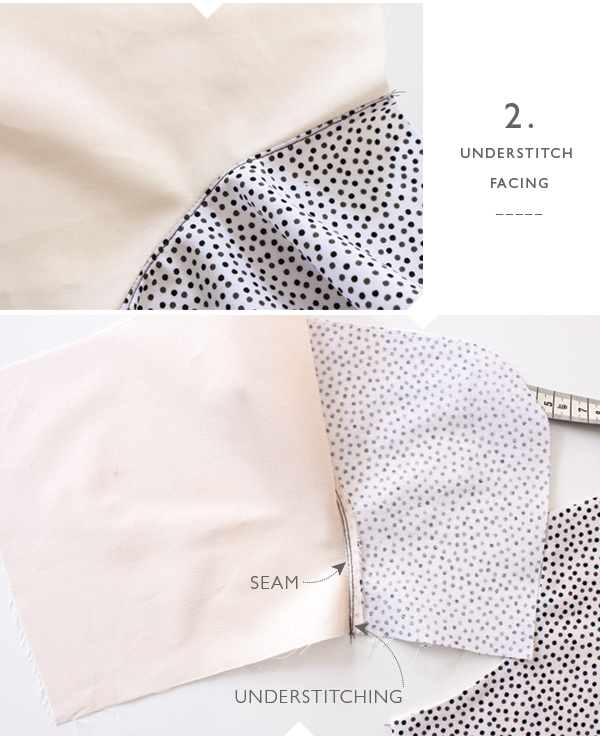 Learn to understitch with this step-by-step tutorial by Pattern Runway. Find the understitch tutorial here.